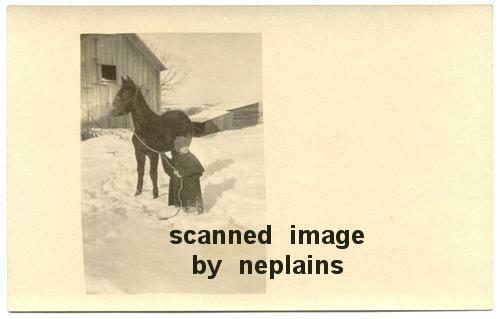 Small child holding the lead to a horse while standing in snow. Location is unknown; photo was found with other items from southeast Nebraska and northeast Kansas. Minor corner tip wear. Faint stain or discoloration near center of bottom edge.